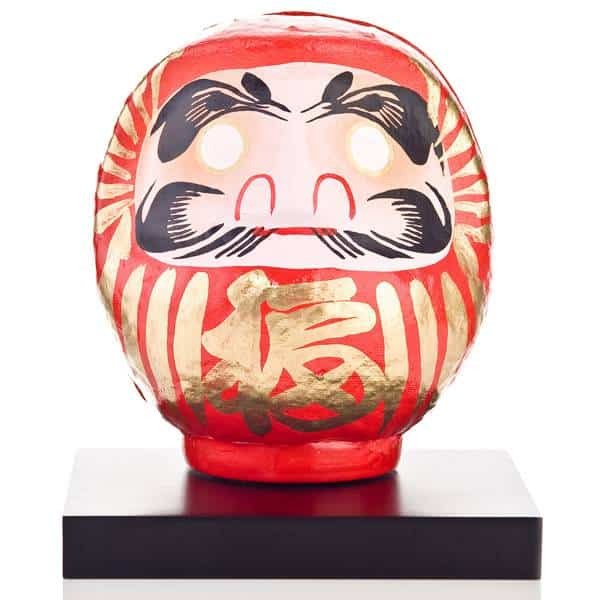 Eating out in Japan is fantastic as it has so much to offer but knowing the ins and outs of Japanese dining before you begin your cuisine quest is vital. Understanding little phrases and table etiquette can upgrade you from a tourist to a local in no time. 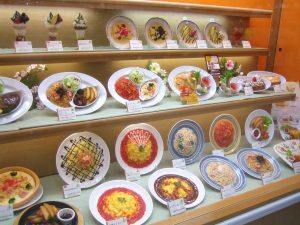 It is hard to sum up Japanese restaurants as a whole but there a few things which they all have in common including window displays, seating, smoking and waiting on staff. In England, we don’t usually tend to have images of our products on display and if there are, in reality the meals never look the same. 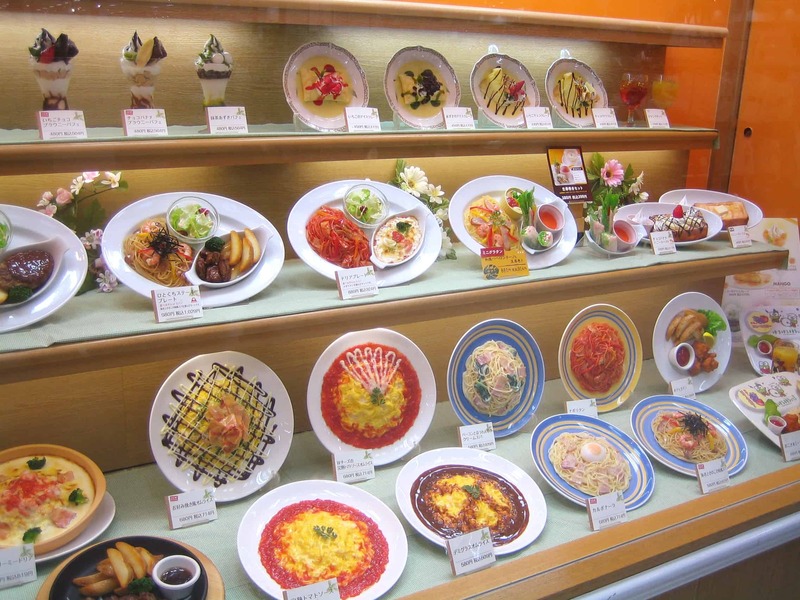 In Japan, on the other hand, plastic or wax replicas of their dishes are placed proudly in the window. 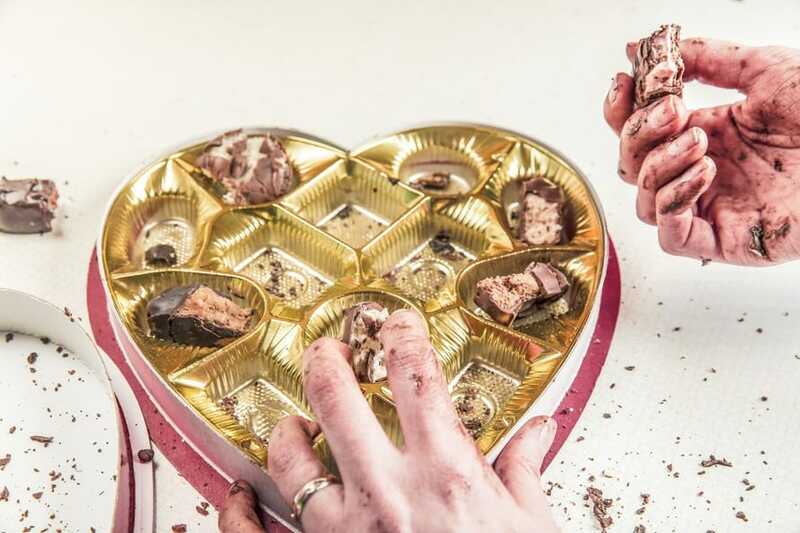 These dishes are typically very accurate of what your meal will look like. Window displays in restaurants are superb for the typical Japanese novice as if you can’t read the menu or struggle speaking Japanese, you can go to the window and point to exactly what you want to order. When you enter the restaurant, a waiter will come and seat your group. It is rare that you will have to seat yourselves however in many restaurants there is a choice of where to sit and this does not mean next to the window or to the bar, it’s for smoking! That’s right, smoking is still permitted in many restaurants in Japan so choosing where to sit is actually quite important. 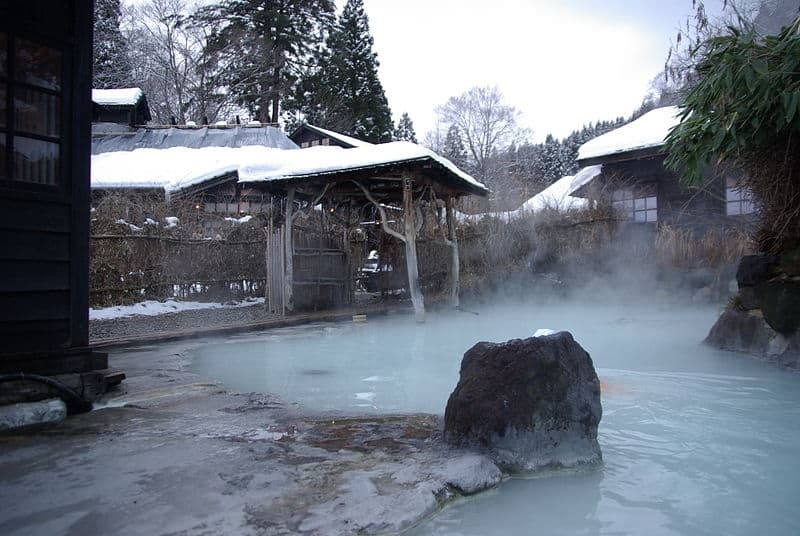 Smoking areas are known as Kitsuen and non-smoking are Kinen. Some restaurants may be purely smoking or non-smoking so double check before entering as you don’t want to sit in the wrong one. 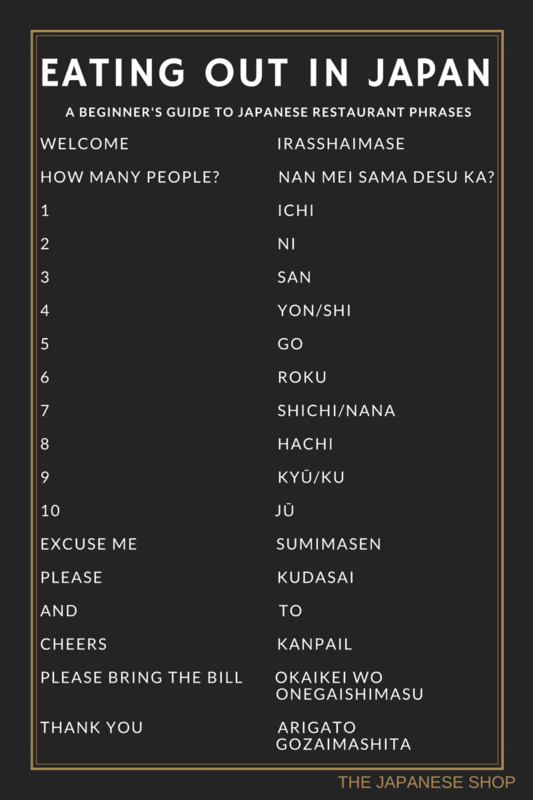 Eating out in Japan can be quite nerve racking for many as it’s a foreign language to us, so how do you know what you are actually ordering? Many Japanese restaurants have menus filled with images of their dishes so you can visually see what you are ordering and get a sense of what the ingredients might be. If you end up going to a restaurant where the menu isn’t image friendly, don’t bolt straight out the door as this is your opportunity to be adventurous. Feel free to ask for a recommendation (ossume) or chef’s choice (omakase) as these dishes are usually delicious however they may be a little pricey. Lastly on the restaurant basics are where you actually sit. Table and chairs are common however in some restaurants you may also have the choice of sitting on pillows around and a low table. Similarly with the smoking areas, there may be separate areas for different types of seating. 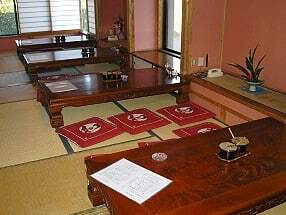 The low traditional table seating is also known as Zashiki and should be experienced at least once on your trip. However its important to remember the etiquette, if you choose the traditional option, make sure you leave your shoes at the entrance before sitting down as this can be seen as disrespectful and rude. 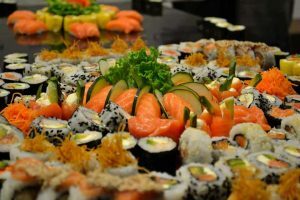 In Japan, there are two different forms of Sushi dining; Sushi-ya and Kaiten-sushi. 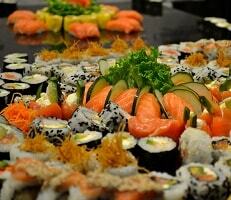 Sushi-ya is a Sushi Restaurant or Bar and is considered as quite a posh dining experience. 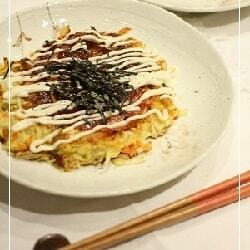 Here you can order your sushi, usually one portion at a time, and have it made for you fresh by the team of chefs. However if you are new to sushi, there is a set courses option so you can try and bit of everything. Kaiten-Sushi is a more relaxed way to dine. Sushi is plated up and passes along a conveyor belt, when you see something you like, take it off! At the end of your meal your bill will be added up depending on how many empty plates are by your side and what colour the plates are as different colours represent different price brackets. Ramen is known as the comfort food of Japan and is extremely popular with all. 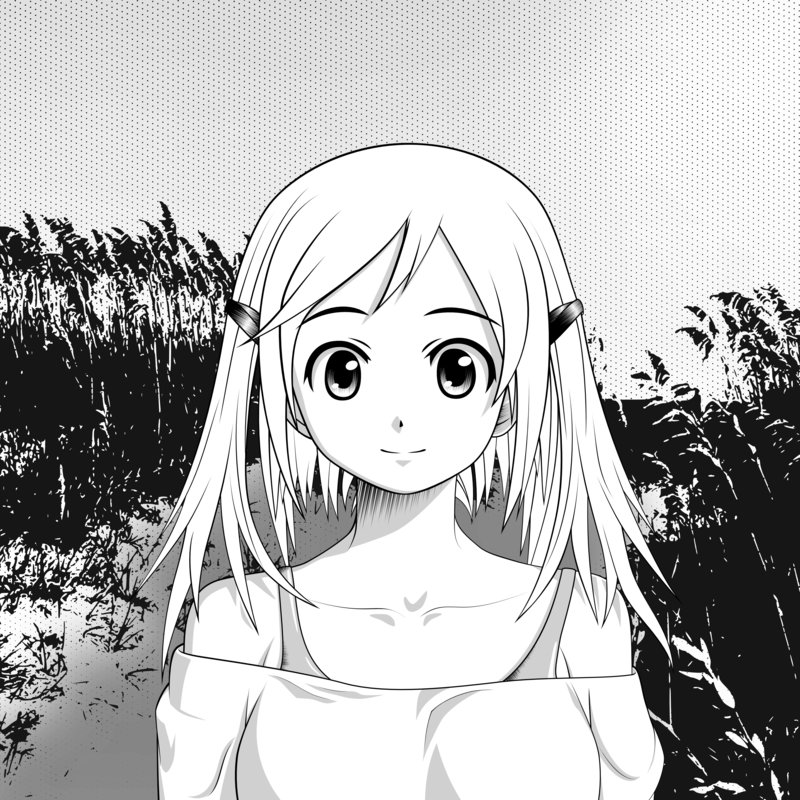 Ramen are thin egg noodles and can be served with pork, soy-sauce, leek, bean sprouts and many other ingredients. In western countries, slurping food is frowned upon however when it comes to ramen, slurp away as slurping is considered to be polite! Fancy enjoying some Ramen without having to leave the country? 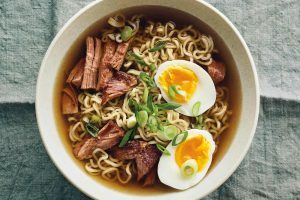 Here’s 7 Easy Ramen Recipes that you can make in the comfort of your own home. Perfect for eating with a cold pint of beer, Yakitori is a sociable food or a bar snack as it is more commonly known. Yakitori usually consists of charcoal-grilled chicken on a skewer basted with sweet brown sauce. 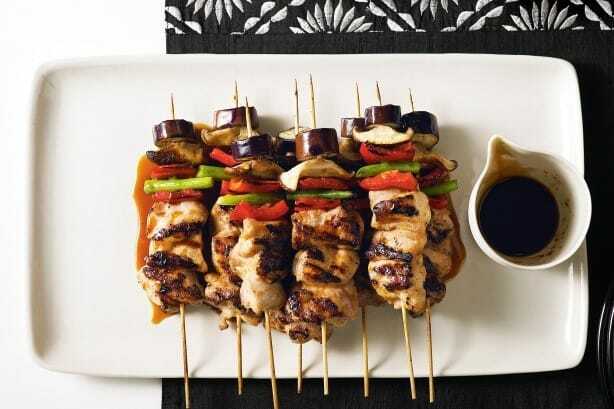 These skewers are served hot and can also include grilled vegetables and other meat. 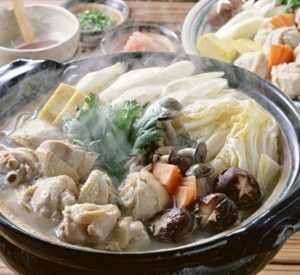 Served as a large hotpot, nabe is popular with many Japanese. Nabe is the overall term given to hotpot however there are hundreds of different types depending on ingredients and so on so its not one nabe fits all. The Nabe is prepared over a fire in the centre of a table and guests help themselves to their portions. Before eating the Nabe, it is common tradition to dip the nabe in raw egg which will be in small dipping bowls next to your plate. A traditional Nabe restaurant may often has a picture of a cow at the entrance as the main ingredient is often sliced beef.